Julie & Matt's romantic Lancaster farm wedding at the Country Barn was filled with lots of love by so many friends and family members who gathered to support and celebrate Julie & Matt. Every little detail was thought out to ensure a perfect time for their guests in a comfortable atmosphere. Low key (but delicious) comfort food choices and lots of beautiful desserts are two things that always make for a great time at a wedding. What a way to kick off my 2018 wedding season - with clients like this my job is pretty great! The Feiler wedding started off at the beautiful downtown Lancaster Cork Factory hotel, where Julie & her girls got to spend time relaxing in charming rooms with exposed brick before slipping into the most gorgeous dress! I absolutely loved the lace detailing on Julie's gown and she couldn't have picked a more perfect dress for her St. Patrick's Day wedding! The green details in everything from the invitation suite and bridesmaid dresses to the florals, tied in the romantic vibe and subtle St Patrick's Day theme throughout the day. Lot's of little accents and wood burned details from Twelve Twenty-Nine Supply Co infused throughout the day made for a super personal collection of details that tied in the barn venue perfectly! Check out their Wedding Services here for more information on how you can get gorgeous custom wedding hangers and more for your big day! Julie's bridesmaids gifted her with a scrapbook full of memories from each prior to heading to the venue. I LOVED this idea! Julie brought a piece of her father with her on her wedding day in the form of a cylinder containing some of his ashes tied into her bouquet. I love this memorial option for brides who may not have a loved one physically present with them on the wedding day. Julie chose to do a 'first look' with her brothers upon arriving at The Country Barn wedding venue in Lancaster before walking down the aisle... there may or may not have been a few tears. A first look doesn't necessarily have to be with your groom, but can also be really special with family members as well! 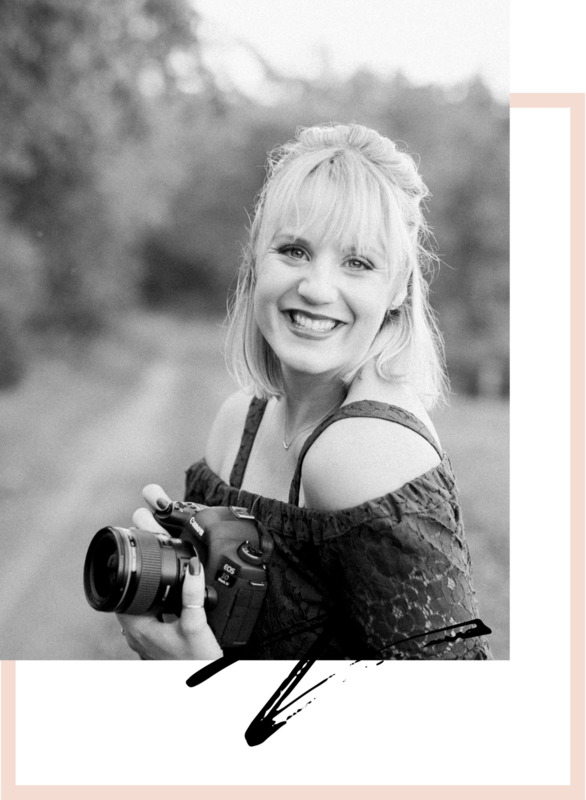 I highly encourage brides to consider a first look of some sort for your big day! Signature drink choices like Irish Sangria kept with the St Patty's Day theme! The simple white & green lanterns and florals were absolutely stunning against the backdrop of the Country Barn - such a romantic statement against the rustic barn walls. And can we talk about that arbor? Custom made by James, it was the picture of perfection when paired with the magic touch of The Details Matter Florists. 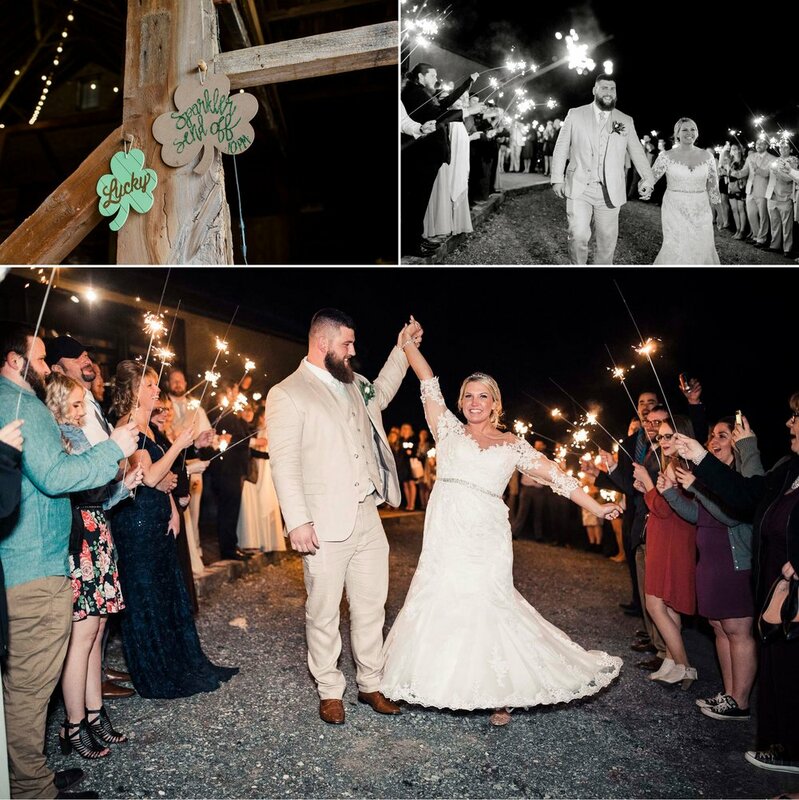 A late night French fry bar, lots of dancing, and a sparkler exit under the stars to end the night wrapped up a perfect romantic Lancaster farm wedding for Julie & Matt! Congratulations to the Feilers! Wedding Gown: Mori Lee from Exclusively You | Bloomsburg, PA - they helped Julie find a new dress with only 2 months left! Calligraphy & Decor: Twelve Twenty-Nine Supply Co.
Nicole DuMond is a Northeastern and Central Pennsylvania wedding photographer serving Lancaster and surrounding areas, specializing in unique and romantic outdoor and farm weddings & celebrations. For more information on NDP services and wedding packages, please check out the FAQ page or Info page for more details.